WHAT IS HAPPENING NOW: Sign up for Shares! The first of its kind in Asheville, Herban Farmacy aims to strengthen community bonds and connections with our plant friends, through the sharing of knowledge and medicines of plants from our natural world. We offer hand-crafted, local, organic botanical medicine and Herbal Wellness Shares gathered from Western North Carolina. We recognize the challenges in providing quality foods and medicine for you and your family, while balancing life, work and play. So, relax and let us do the work. Herban Farmacy strives to empower and engage each of us to become more active collaborators in cultivating natural ways of preventative health-care. You can trust in our love for the earth, the quality medicines we make, and in our ability to provide your household with herbals and education that aim to aid in your connection with the abundance of health all around us. We are honored and excited to share our knowledge and herbal wonders from nature’s field and offer them to your healing homes. Herbal formulas are derived from wild-harvested and local living soils, and are organically grown whenever possible. We strive to use local and organic products, and support local and small businesses. Thanks for supporting your local herbalists! 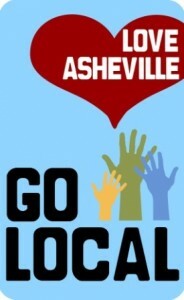 Check out how we are participating in Asheville Go Local.